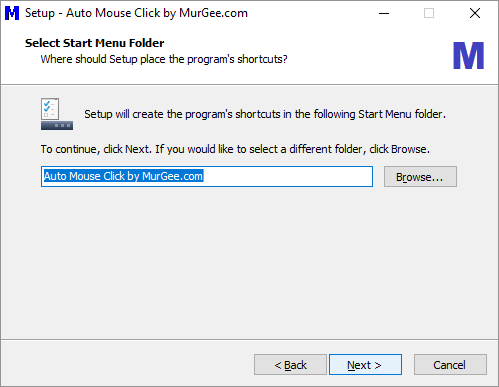 Here you can Download Auto Mouse Click Software bundled as setup.exe file. 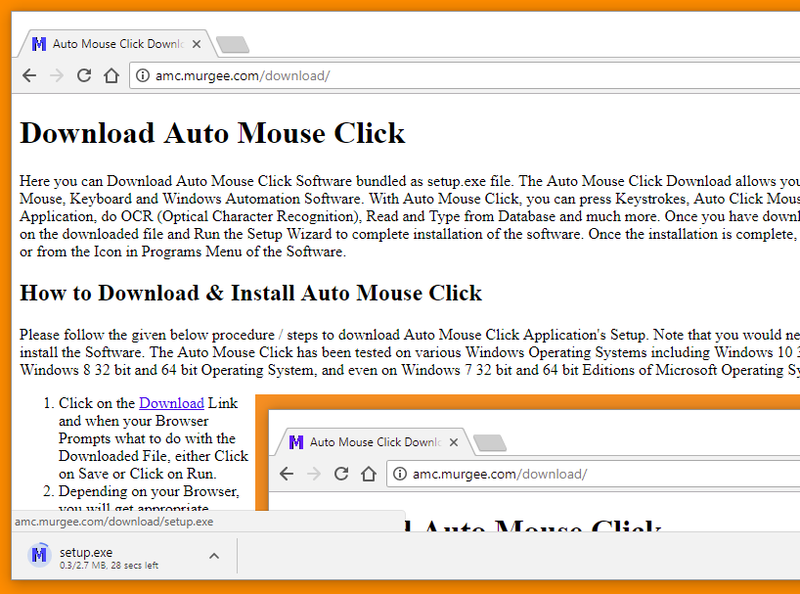 The Auto Mouse Click Download allows you to run Auto Mouse Click Application which is basically a Mouse, Keyboard and Windows Automation Software. With Auto Mouse Click, you can press Keystrokes, Auto Click Mouse at pre-defined locations, Automate Windows of Application, do OCR (Optical Character Recognition), Read and Type from Database and much more. 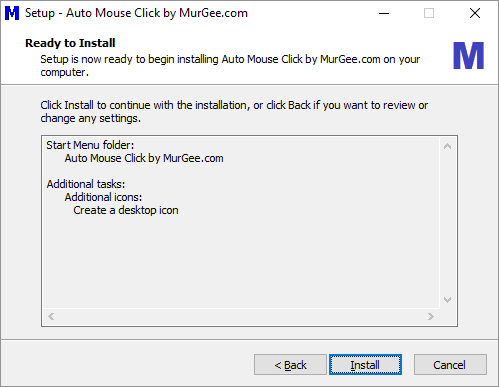 Once you have downloaded the Auto Mouse Click's Setup.exe file, double click on the downloaded file and Run the Setup Wizard to complete installation of the software. Once the installation is complete, you can run Auto Mouse Click from the Desktop Shortcut or from the Icon in Programs Menu of the Software. Click on the Download Link and when your Browser Prompts what to do with the Downloaded File, either Click on Save or Click on Run. Depending on your Browser, you will get appropriate prompts to download and run the setup.exe from the Auto Mouse Click Download Link. The Setup.exe is less than 3MB in size and should not take too long to download depending on your Internet Connection Speed. Now Click on Run / Open on the Downloaded Setup to Install Auto Mouse Click on your Windows PC. First Step in the Installation Process is to allow UAC Prompt to allow starting of Installation. Once you have Allow the UAC Prompt, the Auto Mouse Click Setup will start and will allow you to install Auto Mouse Click on your Windows Computer. The Second Step in Installation is Accepting to EULA of the Software. The End User Licence Agreement is written in English and you can scroll down and Accept or Reject the Agreement. In Order to Proceed to next Step of the Software Installation, you would need to accept the Agreement. In case you have any issues / concerns about the Agreement, you can send an email to Support@MurGee.com and get your queries resolved. Now you can Select whether you want the Auto Mouse Click Setup to Create a Desktop Shortcut to launch the Software. 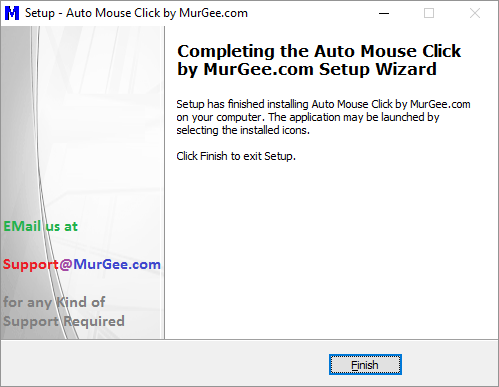 Finally you will be ready to Install the Auto Mouse Click Software on your Windows Computer. Note that the Software is installed in the appropriate Program Files Folder automatically and does not allows you to select the Installation Folder. That's it, Now the Installation is Complete and you can start using Auto Mouse Click Software to Automate Mouse Clicking, Key Pressing, Control other Windows Applications, use Database Typer to Automate Typing by reading data from Database or from Excel File, Automatically do Automated OCR and run Macro Scripts when desired text is found at specified screen location. 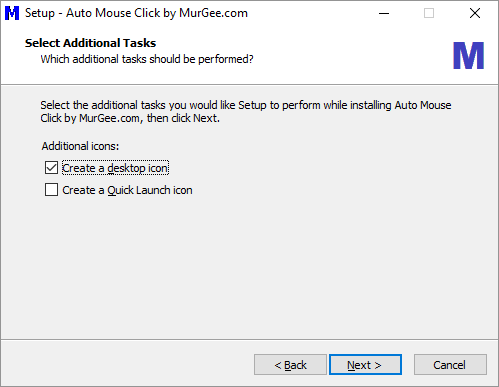 There are Video Tutorials of Auto Mouse Click available to Watch or to Download to assist you in getting Started with Auto Mouse Click Application in short span of time. The Video Tutorials Link alos provides you link to download Screenshots of Auto Mouse Click Software in a zip file which can be really handy when using this Mouse and Keyboard Automation Tool for the first time. You can also visit Auto Mouse Click Tutorials page which provides various tutorials organised by particular Automation feature of Auto Mouse Click. 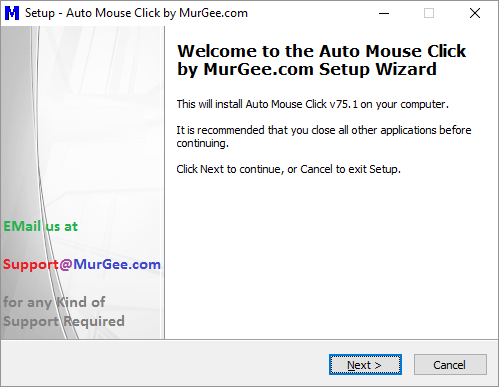 Given below are the Screenshots of Auto Mouse Click Installation Wizard. You can Move Mouse Cursor on any of the Image below to know more about the appropriate Image. Textual Description of the Download and Installation Procedure is outlined in the previous heading. Visit Auto Mouse Click page to know more about this really best and easy to use Mouse, Keyboard and Windows Automation Software. 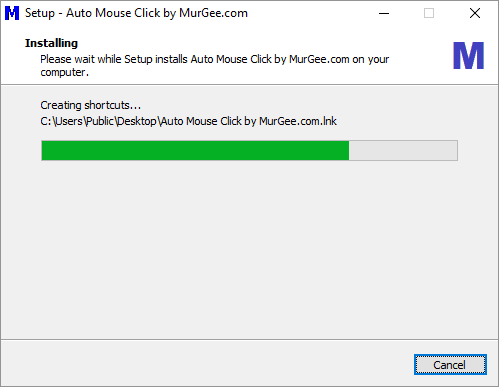 As of this writing the Latest Version of Auto Mouse Click available for Download is Version 75.1 and the Auto Mouse Click home page always provide the Latest Version of Auto Mouse Click to Download and Install.